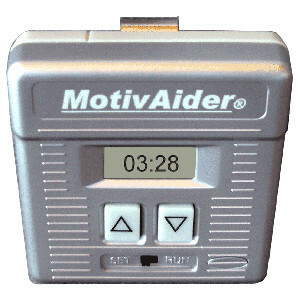 The MotivAider is back in stock! Oh, MotivAider, how we’ve missed you! Our favorite tool for providing a private prompt is back in stock after a long manufacturing delay. We wonder how we survived without it these past months! We’re all breathing a collective sigh of relief that this versatile and invaluable resource is back and available to ship right away. Written by: Different Roads to Learning on June 6, 2014. This entry was posted in Products, Resources and tagged Different Roads to Learning, teaching tools by Different Roads to Learning. Bookmark the permalink.